David Buckpitt has a birthday today. Lynn Wysocky has a birthday today. David Streiff has a birthday today. Steve Olesiuk has left an In Memory comment for Thomas Brown. Sorry to hear this. Obit doesn't give a cause of death, but I believe Tom suffered from either MS or MD from an early age. Considering that, it sounds like he had as full and long a life as can be hoped for. His mother was our sixth grade science teacher if memory serves. May he rest in peace. Beverly McKallip Nicholson changed her profile picture. 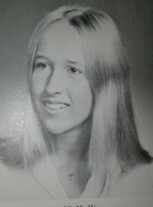 Beverly McKallip Nicholson changed her "Then" picture. Beverly McKallip Nicholson added a photo to her profile gallery. Kathy Gurnett Brown posted a message. Hi Brad, looking forward to seeing you this summer in Charlotte for the concerts!! Kathy Gurnett Brown added a photo to profile gallery. New comment added. Kathy Gurnett Brown posted a message. New comment added. Kathy Gurnett Brown added a photo to profile gallery.